Have you been wanting to learn how to knit in the round using double pointed needles? 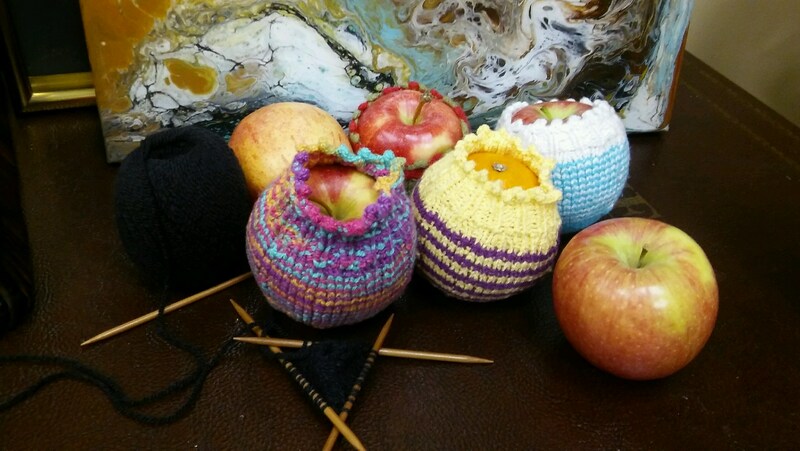 In this class we will be making an apple cozy which is handy for protecting your fruit on the go. You will learn how to cast on with double pointed needles (dpns), increase and decrease in the round and finally finish with a picot bind off. You will need to bring a set of double pointed needles (size US 5 or US 6) and $5 for yarn.